This 3-day trip had enthused me into looking for further excursions, ones that would be less touristy and longer. 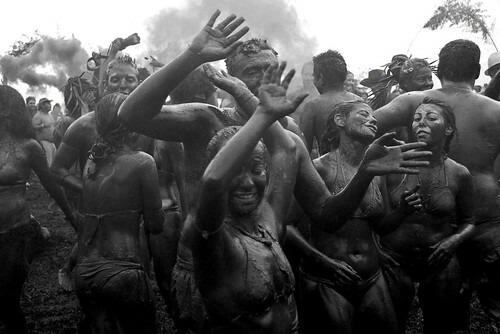 After an in-depth internet search I found Wachimak, a Kichwa tribe near Tena, a city in the Amazonas region of Ecuador. I sent an email to a volunteer co-ordinator who simply told me to get to Tena and gave me a couple of phone numbers to call once I arrive. One was for the tribe itself and one for Jacobo, a member of the tribe who has since moved to Tena. What follows is my diary from the days that followed, an illustration of speed when travelling, or rather, a lack of it. After arriving in Tena I called Jacobo who tells me I need to catch the 5:30am bus to Puerto Rico, where I will then take a canoe and then go for a walk, or at least that’s what I think he said as I have only been learning Spanish for the past month and I still have a long way to go to be conversational! Who knew an on-time bus could be so upsetting? I’m stranded in Tena for another day as I wake up late to find that the owner of the guesthouse was fast asleep. He had promised to be awake to let me out of the gates in the morning. By the time he had resurrected himself and I had run down to the bus station the 5:30 was leaving and I couldn’t catch it. The only thing to do is go back to the guesthouse and back to sleep. God knows how I would have made it without this! 5:40am – I am now on the bus to Wachimak! There was no way I was going to make the same mistake twice! 8:30am – We’ve hit a snag. A bridge on the way to Puerto Rico has begun to fall apart. The bridge is constructed of a number of metal plates, three wide, but one of these has fallen into the river below. I wait with the other passengers by the side of the road as the driver of the bus and a gradually growing flock of people decide what to do. 9:15am – Progress has been made. It was decided to pull up a metal sheet that wasn’t quite as necessary as some of the other metal sheets and fill it in the gap where the bus needs to drive over. I’m loving the improvisatory nature of these Ecuadoreans! 9:22am – The metal sheet is in place but my bus driver refuses to go over it. I have to grab my bags and get onto another bus. 9:25am – I realise I have made a huge mistake. I took my bags onto the new bus, took a seat and waited. Everyone else got off. It’s now just me and the driver as he attempts to cross the bridge. There are men either side of the rusty metal sheet replacement holding huge branches which they are using to make sure the sheet does not fall out of place. Miraculously it doesn’t and we make it to the other side. 11am – We reach a crossroads. My new bus was not going to Puerto Rico so I get off at a junction and wait for another bus. 2pm – It’s now two ‘o’ clock. A bus has just passed but was full to the brim and unwilling to take on any extra people. I can’t believe it! The next one is not til 4pm. I have now been travelling for almost 11 hours simply trying to get to my destination. It is getting a little ridiculous, I was supposed to be at Puerto Rico by 11am, now it seems it will be 5pm. 8pm (maybe) – I’m not really sure what time it is but I’ve arrived. 14 hours and 30 minutes – not bad! Three hours on the first bus then roughly one hour watching crazy Ecuadoreans try and mend a broken bridge. Another two hours on a bus. Five hours waiting by the side of the road. Another hour on a bus. When I finally arrived in Puerto Rico it was clear that everything was closed up. It wasn’t hard to find the medical clinic as there was only three houses but nobody was there. I knocked on the other houses and eventually found someone but they couldn’t seem to get the radio working. I asked them where Sergio’s house and they pointed down the path. This walk was not ideal as I was carrying my usual luggage of backpack and guitar as well as a huge sack full of rice, corn, onions and candles for the tribe (as per their wishes) which was starting to break my back! Once I arrived at his house (which was the only one by the river) he seemed to know what to do and packed me onto a canoe, where his two lads took me down to Puerto Wachimak. I jumped off, dragged my bag, sack and guitar and plonked them on the side of the bank. They asked me for twice the money Jacobo said it should cost and, devoid of energy, I gave it to them. With a final question of “Esta bien?” they drove off down the river. No-one from the tribe had arrived to meet me yet so I sat by the river, surrounded by dense jungle. Within five minutes the sun had almost set and suddenly I was thrown back into this world of buzzing activity and rustling trees. Now I also had the strange noises of things coming in and out of the river, of water gushing up to the shore and sounded like encroaching menace. This wasn’t the serene wilderness I had before touted, this was something altogether more chilling. It was around an hour before someone had arrived. I had spent most of the time looking through my bag for a torch that I had packed incredibly badly, and the rest terrified. This feeling wouldn’t last long as I was greeted by two tiny Ecuadoreans, one of which took the massive sack of food and placed it on his shoulder, and the other who greeted me. At a ridiculous pace we then careered through the jungle, next to what seemed like huge drops to rivers below, and across log bridges in the dark, quite often being told not to touch the makeshift handrails that seemed like my only hope of not falling into the abyss. Finally when I arrived something happened quickly. The plate of food placed in front of me was devoured before I even breathed. Later I fell asleep just as quickly after having a couple of victorious glasses of aguardiente with the men of the village. Without the journey before I am sure that all of these things would not have tasted quite so sweet! Speed has never tasted this triumphant! Treinta y Tres is known as the sleepy city. This isn’t too far from the truth. Upon arriving I wondered if I’d stepped into the middle of a national holiday. The people were going about their business, but in the most casual of manners. There is no rush. I popped into a grocery store to get a few things for dinner and ended up waiting for 15 minutes as the people in front chattered away while slowly filling a plastic bag with vegetables. As I strolled around the town, taking in its patrimonial buildings and dusty streets, the rhythm of everyday life felt like a magician’s stick, slowly spinning me into a glorious trance, a million miles away from the hustle and bustle of busy city streets. It was suddenly possible to hear my heartbeat again – although it should be noted that I had just knocked back two espressos and my heart felt as if it was about to jump out of my chest at any moment. As well as offering this laid-back way of life, Treinta y Tres is trying to push itself as something of a tourist hotspot, which it has every right to do. Quebrada do Los Cuervos is located 22kms from the city. This basically translates as ‘Valley of the Ravens’, and offers far different wildlife and vegetation than you will find in the rest of Uruguay, due to high humidity and the valley’s differing exposure to the sun. It is definitely worth a look, though at the moment this would need to be done through Expedicion Uruguay – expedicionuruguay.com.uy – as there is no public transport to the area. Charqueada is also a short distance from Treinta, around 30km, and IS reachable by public transport. This is a port town on Laguna Merín, with great history, which is shown in the architecture, and is perfect for viewing more of Uruguay’s rich flora. A perfect time to visit Treinta y Tres is for ‘Festival del Rio Olimar.’ This happens every Spring. Check with the Uruguay Tourism Board for the exact dates. It takes place by the river, Rio Olimar, near to a camping site, and is a great place to hear traditional Uruguayan music as well as new bands that play on the huge stage they erect for the occasion. 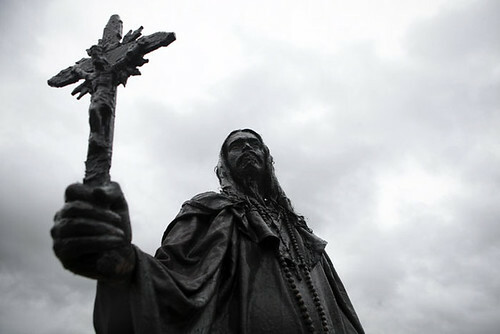 Before arriving in Tacuarembó I had been told it was The People’s Republic. On telling this to the people in Tacuarembó they looked at me in disbelief. Surely Salto and Paysandu are bigger cities (these three towns make up the heart of Northern Uruguay), why would Tacuarembó be the Republic? It seems that Uruguayans want Tacuarembó to be known as the heart of the country, most likely due to its position as home of the Gaucho. This figure looms large over the city, with huge signs declaring it Gaucho Country, countless shops with names such as El Gaucho and the gauchos themselves frequenting the bars and cafés around the town. It is a far busier town than Treinta, with the majority of people moving around on their scooters and motorbikes. It feels like a hub of activity with express links to Montevideo and the surrounding towns, as well as to the border with Argentina. The ‘Fiesta de la Patria Gaucho’ is a festival that happens every March, and is a great opportunity to see some of the customs associated with these legendary figures. 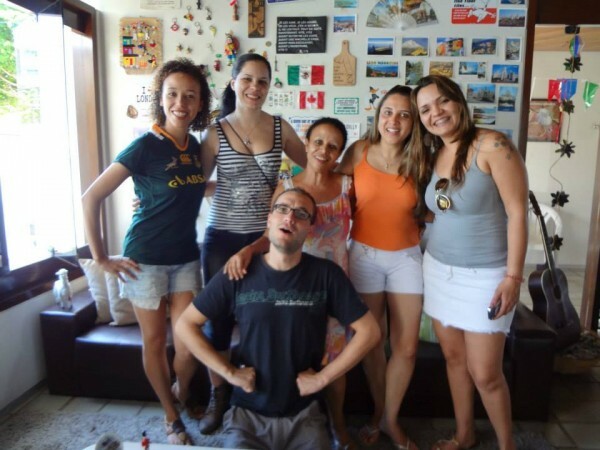 The great thing about travelling around some of the lesser known places in Uruguay is that the people are so happy for you to be there, and for the opportunity to tell you a little about their lives. It is also very cheap to travel around with transport and food extremely reasonable, and the only problem sometimes being the finding a cheap hostel. Treinta y Tres can be reached via Maldonado or Montevideo in the South and is also very close to the Brazilian border. Tacuarembó is a stone’s throw from Salto on the Uruguay border where there is a public bus to Concordia in Argentina. There are also regular buses from Montevideo. On entering any country there are always a few things that just seem to spring out at you. Why are they doing that? How much does it cost? Are you being serious? In Uruguay these things may seem less severe than in other countries, such as Bolivia and Brazil in South America or further away in the Far or Middle East but it’s crazy how much of an impact they still manage to have on your life. These are some of my curiosities about Uruguay that I probably spend far too much time contemplating. This is something I first experienced in Argentina but it’s one that I’ve always found intriguing. Why would anyone think of putting a liquid substance in a bag? As a result all fridges now have an extra piece of plastic on their door so that the milk can be slotted in and remain upright. But with yoghurt also coming in bags too where’s my second piece of plastic? What you then have to do of course is actually find one of the specially-made plastic containers which are able to house these bags perfectly as well as making them very easy to pour. Maybe the plastic factories and dairies made some kind of agreement, let’s walk into the unknown together or something like that. Milk is of course also available in a carton but it’s a lot more expensive. I now use it as a barometer for judging people. If they have milk in a carton I can be pretty sure they live something of a luxurious lifestyle. The popularity of mate in Uruguay is undeniable. Every single person has a mate gourd (the vessel for their indulgence) in one hand and a thermos tucked under the other arm. This is most pronounced around 6pm/7pm when everyone has finished work and heads down to the promenades (in the beachside towns anyway) to catch the last bit of sun and sit around drinking mate with their family and friends. The social element is so interesting, I really think there’s no match. Coffee seems to be a very personal thing, when people buy it to take-out it tends to be something to down on their way to an important meeting and at the office it is something that is drank while doing other things. Even the Italians who seem to have the greatest love for it gulp down their expressos like no-man’s business, making it more of an aid to the conversation than a central item. Tea is more social, especially when a plate of shared biscuits is involved but it lacks mobility, one thing that could not be levelled at mate. One evening I tried to count how many thermos’s I could see on a walk down Montevideo’s rambla. Turns out I can’t count that high! Uruguay has many similarities with Argentina due to its proximity over the River Plate, it’s North also shares a few traits with Brazil (including a strange dialect that seems to morph the too) and generally speaking a lot of the culture could be seen as European, no surprise being that many of the people are descendents from Italian and Spanish immigrants. I think this is the reason why candombe is so popular. It’s a style of drumming developed by the mixture of African slaves brought over in the late 19th century and that has since been passed down many generations, effortlessly moving into the hands of the colonialists on the way. It is quite quintessentially Uruguayan and something that they are obsessed by. With no prior knowledge of what it was I at first found it extremely curious. It’s closest cousin in popular terms would be samba but this is so much more powerful, more insistent. Drummers pound away for hour after hour as they parade round their neighbourhoods on a weekly basis. Apart from a small intro some of the groups don’t change their rhythm for the entire 2 or 3 hour parade. After a while though it draws you in, especially while watching the strangely stilted dance that accompanies it, and the sound of the drums begins to drift into the back of your mind, just leaving this immense feeling of passion as it eventually gets you. A lot is often made of an official statistic that Uruguay is 98% literate. Personally, I feel this is slightly incorrect as there is without doubt some problems with homelessness and I very much doubt these have been included in the poll. Nonetheless, these people are obsessed with books. There are bookshops on every corner and Montevideo in particular has one street, Tristan Narvaja, which has around 30 different bookstores. Attached to this love of books though is a sense that literature is something that should not be cheap. Hence, second hand books can cost as much as a new mp3 player or a brand new pair of a shoes. Even a newspaper can end up being the most expensive item in your shopping basket, I was personally shocked when I saw that it cost more than my 3 litre bottle of Coca-Cola. Uruguayans eat late, really late, somewhere between 10pm-midnight. The amount of times I would meet people around 10pm for a drink only to find that they hadn’t eaten and that they were actually more interested in eating than drinking has been numerous, and each time, for a Brit like me has been hard to fathom. The normal English ritual of going out for a quiet drink, which is normally somewhere between 3 to 5 pints, would make you the token drunk in Uruguay. I have generally adjusted to eating really late, especially spending time in North Argentina where the siesta puts you back a few hours anyway, but still the idea of going out to eat all the time is hard for me. I never do it in England due to the cost, and would also struggle to do all the time in Uruguay for the same reasons. My ‘going out’ allowance will always simply translate as Beer allowance, it’s one cultural trait that I will always find hard to change. Okay, so I have been a bit crap in posting up some of my Carnival pictures – I can’t believe Carnival finished over a month ago! 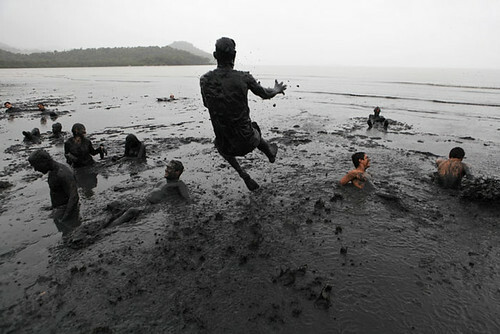 In order to make amends I thought I would post some classic shots of the Bloco da Lama mud party in Paraty. This happens on the first Saturday of Carnival and is one of the most surreal yet incredible things I have ever been involved in. 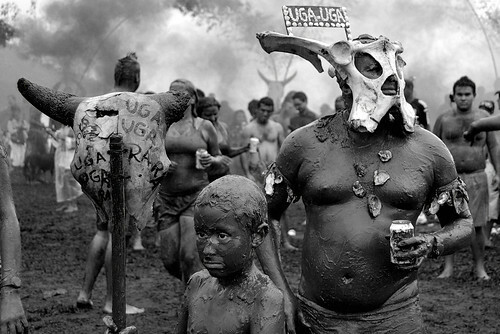 “Uga Uga” is what the people chant as they parade through the streets. This is an actual person. This guy was in the back of a horse-drawn carriage, which was legging it around the streets. His dog always looked quite confused. I think you get the picture. It’s ridiculous! Panama is a nation rich in history and tradition. Once a shipping gateway for Spanish gold and a haven for famous swashbucklers like Henry Morgan, the country is now a world-renowned recreational paradise filled with amazing natural sights as well as extraordinary man-made attractions like the Panama Canal. While in Panama, hotels like Veneto Panama can arrange a variety of tours that will help you take advantage of all the tourism opportunities that are available to you. Many visitors to Panama don’t realize that, less than an hour away from the capital, you can find breathtaking beaches on both the Pacific and Caribbean coasts and ecotourism excursions to Panama’s rainforests as well as world-class golf, fishing and diving. Bocas Del Toro is a region of unparalleled natural resources and its rain forests are considered very important in the development of Eco tourism. Located on the Panamanian part of the Caribbean, it’s also ranked as one of the best scuba diving spots in the world. The Isla Bastimentos Marine National Park located here is the country’s first national marine park covering 32,682 acres. One of Panama’s most beautiful and important marine habitats, the diversity of the marine species and coral reefs make it an ideal place for diving. Also located here is Bird Island. Although it looks like just a giant rock in the middle of the ocean, it is of vital importance in the preservation of the ecosystem as migratory birds travel great distances to rest here. Depending on the season, the island is home to as many as 50 different species of birds. Many travelers say that when you go to Chiriqui, you are transported into paradise. Chiriqui boasts rivers of crystal clear water flowing into magnificent waterfalls, beautiful beaches and thermal pools known for their healing powers. The tropical rain forests and the “Baru” Volcano are a breathtaking sight .The La Amistad International Park World Heritage Site by UNESCO is the last of the primordial forests in Central America and the National Marine Park of the Gulf of Chiriqui showcases the splendour of many different coral reefs and their marine life. It may surprise many visitors that Panama has mountains but the majestic mountains of San Blas, Bagre, Pirre and Sapo rise from 4921 to 5905 feet above sea level. The Darien National Park is considered one of the most important natural reserves in the country. Occupying most of the province and covering 1430 acres, it was declared a World Heritage Site in 1983 by UNESCO. Most notably this area is home to the Harpia Eagle, which is Panama’s National Bird. In fact, this ecosystem is known as one of the world’s best areas for bird watching. Inside Darien National Park, there are also the remains of a fort that protected the Spanish entry to the gold mines of Cana. San Blas is the region where the women wear the famous multicoloured molas. Molas are regarded as one of the most sophisticated crafts from Latin America and is classified as one as the most beautiful indigenous costumes in the world. They are made from brightly coloured cotton fabrics with geometric and abstract designs reflecting daily life embroidered on them. They also have items made of pure gold that the women use to adorn the garments. The chaquira necklaces are also produced in the region. This area is characterised by the fact that the people keep true to their customs and traditions; so much so that tourists are only allowed into the areas by permission of the chieftain or by permit. Panama City presents a fascinating contrast between historical and modern, from the famous Bridge of the Americas to the Historical ruins of Old Panama, which was destroyed in 1671 by the pirate Henry Morgan. The city center is characterised by narrow alleys and brick streets surrounded by colonial buildings, historical ruins of the first city, museums, and churches. But, in addition to the many interesting sights to see in Panama City itself, there are also many unique sights and experiences to be found outside of the city. Yesterday was my first day of watering the plants. It took about 2 hours. I think this is going to have to improve slightly. Problem is that it’s just too hot here, everything needs a lot of water every day just to survive. Now I just want one more picture of Neil, a dog that is so unbelievably friendly that when you get near him he jumps on you, smashing your ribs with his huge paws while pretending to bite your hands. I can probably understand why some people are a bit scared of him. He is really though one of the softest dogs I’ve come across.